We manufacture hydraulic baler used for baling of hollow plastic like pet bottles in various sizes, our machines are very efficient and saves a lot of time and money. Our machine is very easy to operate. It has a long ram and which ensures full compaction of every article in the bale container. We also provide a liquid drainage try , as it ensures cleanliness of the area around the bale. We also use chain bale ejector in this machine for easier putting the bale out of the machine. 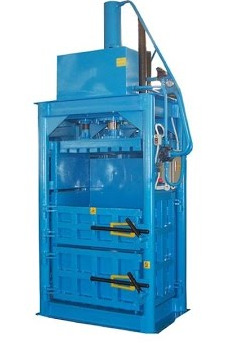 Ø Machine has long stroke for easy compaction of hollow plastics and making an efficient bale. Ø We provide liquid drainage channel with this machine. Ø We provide Adjustable Bale Height Provision in machine, so that as per requirement bale size and bale weight is acquired.